Another year, another top 10 list. It seems like it was only a few days ago I was naming The Tale of the Princess Kaguya and Whiplash as my best films of the year, rather than 365 days ago! I guess time flies when you’re having fun, as I certainly had a lot of fun watching these 10 movies from 2015. 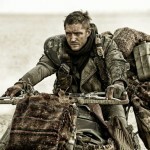 While I would still argue 2014 had a more bountiful selection of great films, 2015 felt like a more important year for film, and my top 10 this year feels even more special to me, and I’m sure I’ll be revisiting most of these as considerable candidates for some of my favorite films of the decade. It should be known that my criteria for this list is doesn’t really separate my subjective or my objective view of these films. Yes, when ranking my favorites I am taking more of a personal liking into account, but my personal joy of a film is still well correlated with my objective view of that same film, and isn’t as separate as it may be for most others. With that, let’s get on with the show shall we? Here are my Top 10 Movies of 2015. My list usually always consists of at least one foreign language film. 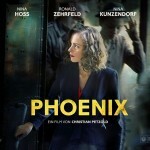 This year, it was the German film Phoenix. Much like Hitchcock’s Vertigo, Phoenix is a film that deals with struggling identity, but as a repercussion of post war consequences. 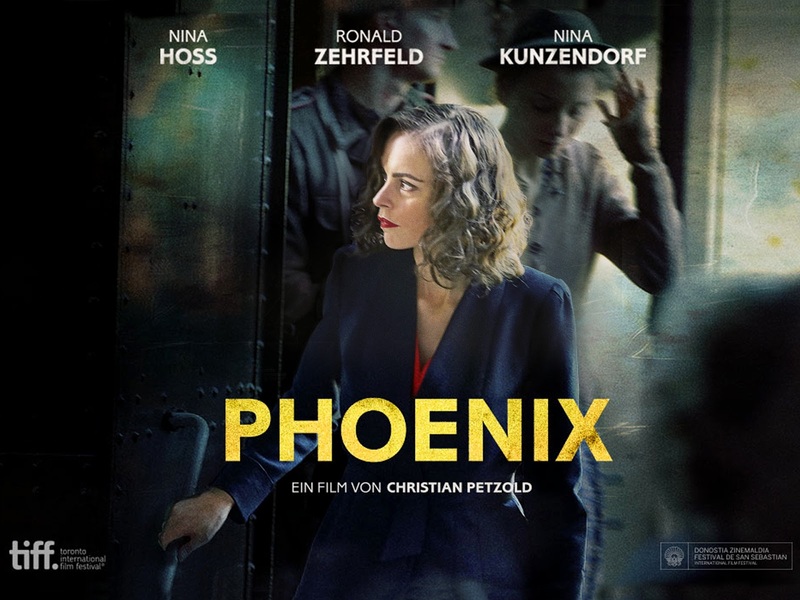 Nina Hoss gives one of the best female performances of the year (an already crowded race) as Nelly, a survivor of the concentration camps in Auschwitz, and goes to find her husband who may have indeed betrayed her. Her injured face reconstructed, he can no longer recognize her, but something about her strikes him as familiar, so much that he churns up a plan to change her back into a splitting image of his “late wife” for selfish reasons. A tale of conflicting identity or revenge? Or both? You decide. This all leads to arguably my favorite ending to any film all year, and what it jolt it is. Bring on the Criterion Collection release! Click here to listen to our full review. Welcome back, Sir Ridley Scott. 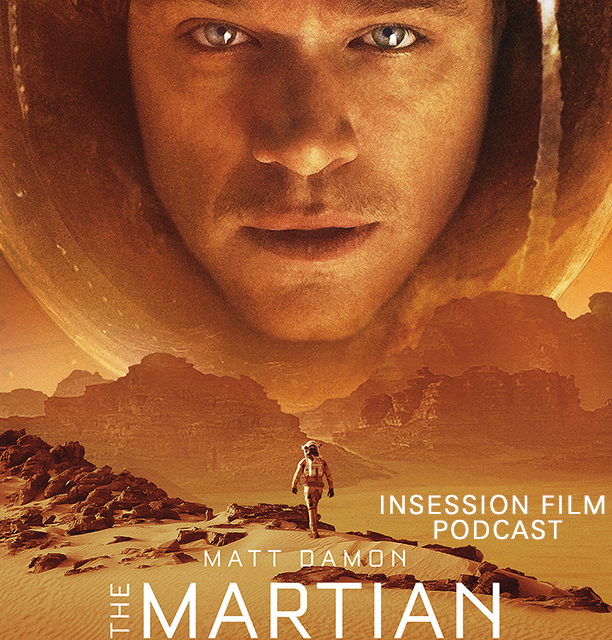 The Martian was easily one of my favorite blockbusters of the year, a film crowded with a stunning cast in which everyone is given their due. 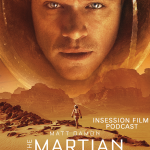 But boy does Matt Damon prove he is still a star; his sense of humor is front and center, and it plays well into the film thematically as well. On that note, yes, I would side with the Golden Globes in calling this a comedy. This is a film that uses humor and optimism as a strategy for survival, but it continues to go deeper than that; it’s also a film that is thematically about mathematics, problem solving, engineering, and the movie entertains and informs, working as a promotional piece for young minds thinking of studying engineering in college. And it succeeds so well in doing that, thanks to Drew Goddard’s brilliant adapted screenplay. And all the disco music of course (I love ABBA, and I don’t care who knows it). Click here to listen to our full review. Boy do I love Charlie Kaufman. 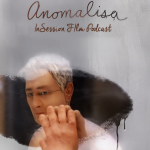 Anomalisa is one of the most unique animated films I’ve ever seen, and arguably the most “human” film of the year. 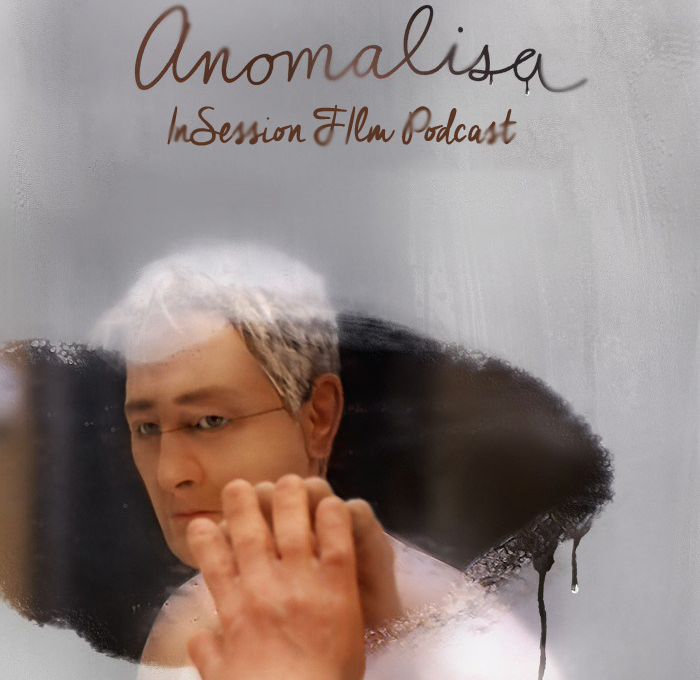 The film features all the typical tropes we love (or hate, depending on who you are) from Kaufman; a melancholic look on existence, quirky humor, and surprisingly likable but despicable lead characters. Michael Stone, voiced wonderfully by David Thewlis, is crippled by the mundanity and repetition of his life, so much so that everything and everyone he sees, hears, and feels appears exactly the same. That is until he meets Lisa, voiced wonderfully by Jennifer Jason Leigh, who I would campaign for Best Supporting Actress in this film. Together, their relationship makes for such a well-balanced film thematically, at once a tragic story about losing yourself to life’s repetitions, and also an uplifting tale about overcoming your insecurity for being different. Be the anomaly in someone’s life. It is also worth recognizing Tom Noonan’s voice work for….well, everyone else. The film is certainly not as abstract as Kaufman’s previous scripts, but it is another fine work to add to his collection. And the stop motion animation is breathtaking! Click here to listen to our full review. Room is a tale of two halves, one dealing with the arduous situation of an abducted mother and son, and the other dealing with the repercussions of this event. And it never feels jarring or disjointed, but rather a consistent tale about the power of innocence and the importance of familial love. And it is wonderful. 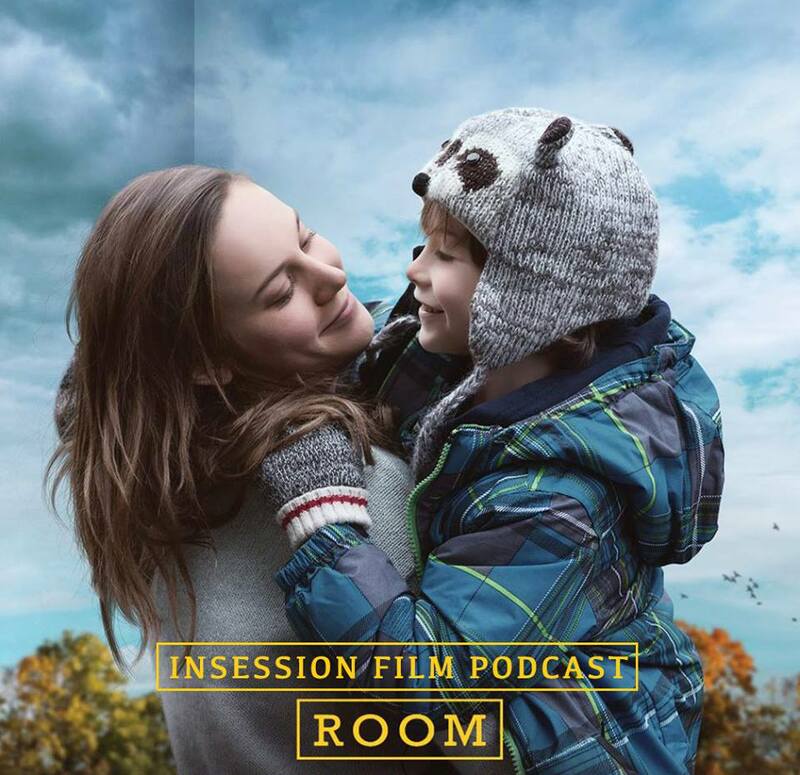 Brie Larson is a revelation, and Jacob Trembley gives one of the best child performances I’ve seen in a long time. In reality, this film is his story, as the film is primarily told from his point of view, allowing the film to become even more thematically rich. This all leads to another of my favorite endings of the year, and it is so beautifully earned. After enjoying his movie Frank last year, I’m now on the lookout for Lenny Abrahamson. Click here to listen to our full review. Okay, I’ll play the bandwagon game. Yes, this is essentially just one long car chase. Hell, it almost feels like a 2 hour music video, with only few breaks for characters to just talk. But hot damn it’s so well done, and here we have 70-year old director George Miller to show the world that action filmmaking is indeed an art form in and of itself, something the modern age has forgotten. That’s not why this makes my top 10 though; in fact, this is one of the most emotionally and thematically rich action films I’ve ever seen. It has been called a feminist piece, and it certainly has important arguments to make about gender equality, but it goes so much deeper as it explores the notions of hope and redemption in a time and place when that is long gone. Charlize Theron is as great as everyone says, but it’s not her movie. It’s not even Max’s movie. It’s both their movie, and they needed each other to thrive and be redeemed. 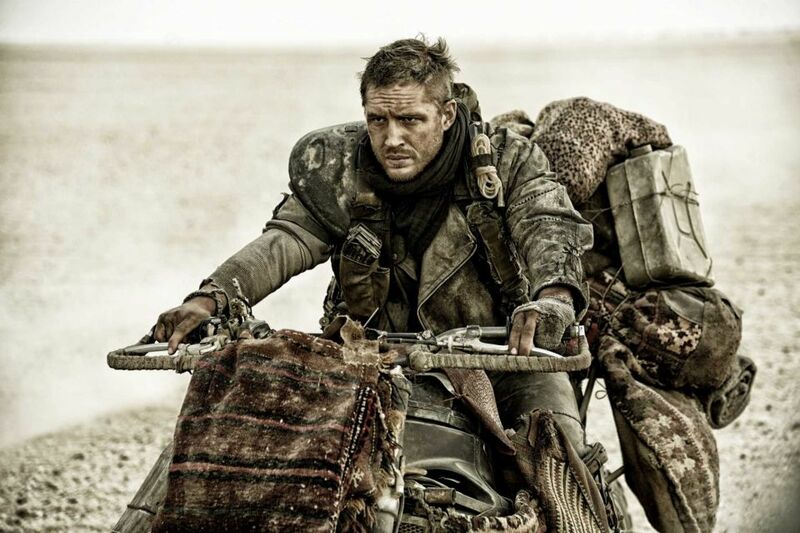 It’s in these moments of subtlety in Miller’s direction and Tom Hardy’s performance that help emulate that, and it’s all surprisingly moving. I can’t wait to explore this Wasteland again! Click here to listen to our full review. Oh hello, Pixar! Where have you been the past 5 years? I’ll give you the benefit of the doubt and assume you were just working on this film, because this year you churned out one of your very best films. 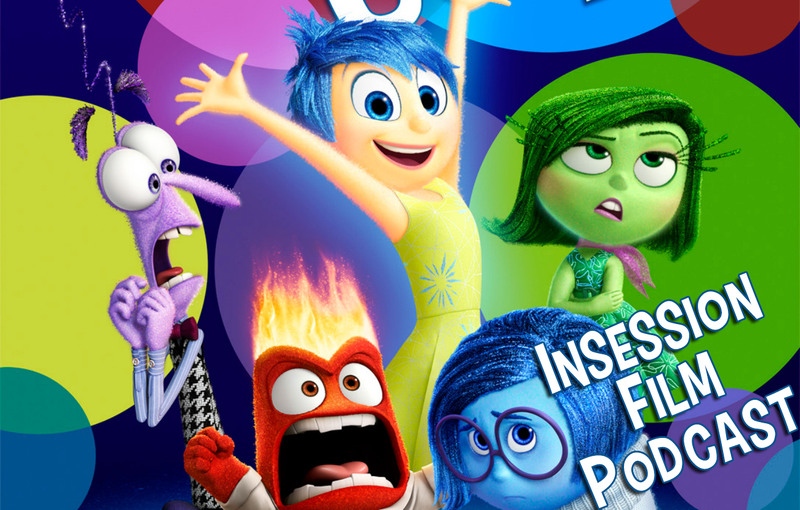 Inside Out is one of the most beautiful and profound animated films I’ve seen by any animation studio. Sure, it’s funny and charming, but boy is it smart! 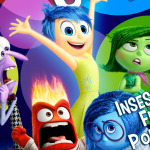 This is the film child psychologists will be showing to children, as it perfectly understands the meaning of childhood moodswings, their ability to constantly try and stay happy when that is both impossible and unhealthy. Sometimes, you need to feel sad, you need the tears to bring the joy, and that’s the recipe for growing up; emotional open-mindedness. The voice casting is perfect, the humor is spot on and smart, and like the best of Pixar it brings the water works (three times for me!). Click here to listen to our full review. 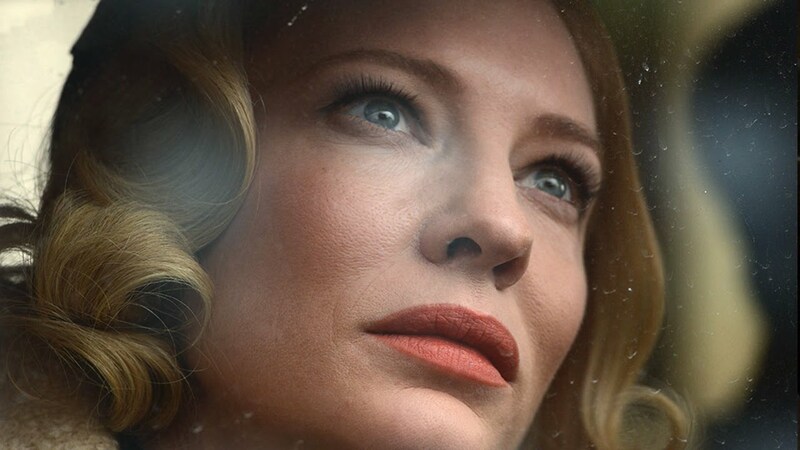 Carol is arguably my pick for the most beautiful film I’ve seen in 2015. By choosing to focus primarily on setting and theme to drive the story, the true colors of this film are able to shine more clearly, and literally (did you see how beautiful this film looks?!). Todd Haynes’ direction is so under-appreciated, as he turns 1950’s Brooklyn into a character in this film, further enhancing the film’s striking romance and themes of social conformity. Cate Blanchett and Rooney Mara are as good as they’ve ever been in leading this film (yes, they are both leads! ); their romance is beautiful and their social troubles are wonderfully, yet subtly, expressed. And it never feels forced or preachy, but real. It may be difficult subject matter for some to consume, but thematically it is fully rewarding. Also kudos to the supporting cast, as Sarah Paulson and Kyle Chandler are too wonderful in their respected roles. And Carter Burwell’s score, wow! Click here to listen to our full review. Incendies. Prisoners. Enemy. Now Sicario, and the soon-to-be-sequel to Blade Runner. Welcome to the masters club, Denis Villeneuve. Villeneuve is a master in subtle intensity, while at the same time infusing the film with a striking moral commentary, one that continues to feel even more politically relevant as new threats and horrors emerge in our world today. For these reasons, Villeneuve is my pick for the best director of 2015; he paints a beautiful portrait (with the help of the great Roger Deakins of course) of the blurred definition of justice in a deteriorating world, and if that means we need to cross the moral line (or border?) to defeat our enemies. It’s incredibly profound. Emily Blunt represents that moral dilemma wonderfully, but Benicio del Toro steals the show, striking a surprising balance between hatred and heartbreak. And Josh Brolin’s charisma can’t be ignored either. This is not only a great film, but an important one. Click here to listen to our full review. Now, I’m not the biggest fan of the Rocky franchise; I love the first film, but merely just enjoy the sequels. So if a year ago you told me “Rocky VII” would be in my top 3 favorite films of 2015, I would have sent both Clubber Lang and Ivan Drago after you. Good thing no one told me that, and good thing for the existence of director Ryan Coogler; his blend of old school melodrama with raw indie filmmaking makes for a rather unique movie-going experience, one that is both familiar and incredibly fresh. The way this movie touches on family, and what the real definition of building your own legacy means, is so moving; sometimes in order to set your own path for the future, you need to acknowledge what came before you, and what still shapes who you are. The passage of time is a crucial theme here, and Coogler’s nostalgic but fresh direction makes the filmmaking itself a symbol in showcasing that. Seriously, the movie didn’t deserve to be this good. 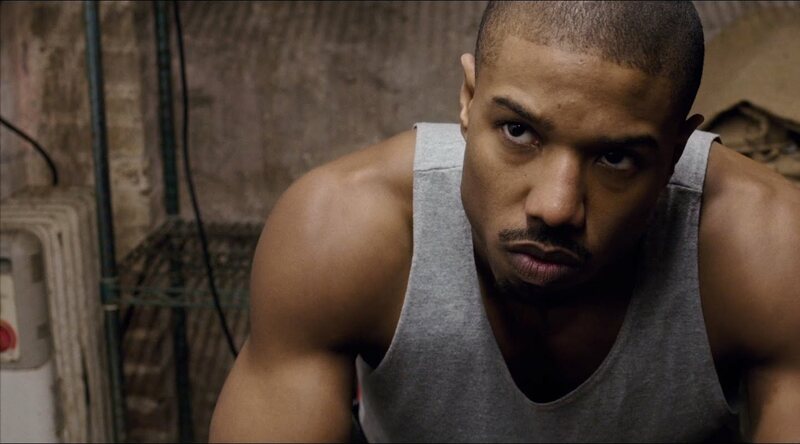 On top of all this, Michael B. Jordan is a star, and Sylvester Stallone turns his most iconic character of Rocky Balboa into one of the best supporting performances of the year. Sign me up for Creed II. Click here to listen to our full review. Sometimes your love for a movie is defined by your sheer enjoyment of it. Sometimes it’s based on rewatchability, or its amazing direction and writing, or the performances, or maybe its cinematography. And even sometimes it’s a combination of all those things. But, it’s not very often that I can give my greatest compliment for a film, but tis the case here; I’ve seen Ex Machina four times now, and every time it felt like a completely different movie. 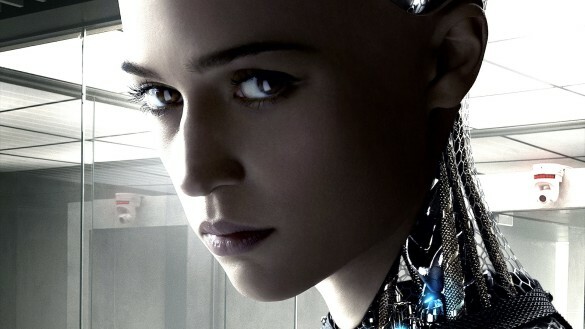 Alex Garland has created a new favorite of mine in the sci-fi genre, a film that is about so much more than human relationships with artificial intelligence. Ex Machina has three main characters and three points of view, and you as the viewer have the ability to watch through each of their eyes. This makes for one of the most thematically rich sci-fi films I’ve seen in a long time, all at once about the desire for intimacy, the fine line between empathy and apathy as human characteristics, the means of manipulation for self-preservation, and even coping with loneliness. The film wouldn’t have got this far if it wasn’t for the three main performances, and Alicia Vikander, Oscar Isaac, and Domhnall Gleeson (who ultimately wins 2015) are truly magnificent, especially Vikander, who is a new superstar. And for a film that is Garland’s directorial debut (I’ve loved his writing already), it was easy to pick this as my best film of 2015. Click here to listen to our full review. 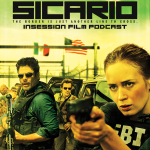 To hear us discuss our InSession Film Awards and our Top 10 Best Movies of 2015, subscribe to us on iTunes, Stitcher or you can listen on Soundcloud below.